One hundred fifty years ago an enterprising merchant opened a trading store and tavern in a small settlement on an early trail linking Northeast Texas with Nacogdoches, the regional seat of government at the time. The store, on the Southeast corner of present day East Main and South Marshall Streets is credited as the first retail establishment in Henderson. 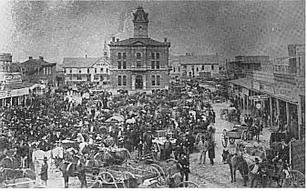 Downtown Henderson about 1890, courthouse in center which was demolished on April 13, 1929. Howard-Dickerson House, C 1855, 501 South Main. Henderson was designated the county seat of Rusk County when it was formed in 1843. 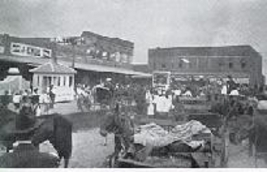 The downtown business district was laid out around the courthouse square. Henderson grew into an important commercial, cultural, and governmental center for the area. 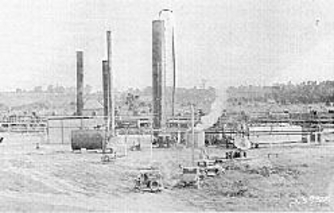 the Civil War, Reconstruction, the oil boom of the 1930s, and the oil bust in the 1980s. In 1988, Henderson was designated a Texas Main Street Project City. The City and State made a commitment to improve the downtown area and encourage economic development through the renovation of the historic buildings and recruitment of new businesses. Today downtown Henderson offers a unique variety of shopping experiences housed in its restored structures. Two shopping malls contain gifts, antiques, and crafts. Our upscale clothing boutiques can clothe the whole family. Three antique shops are filled with collectibles and fine furniture. Restaurants and the Rusk County Library can provide nourishment and information.